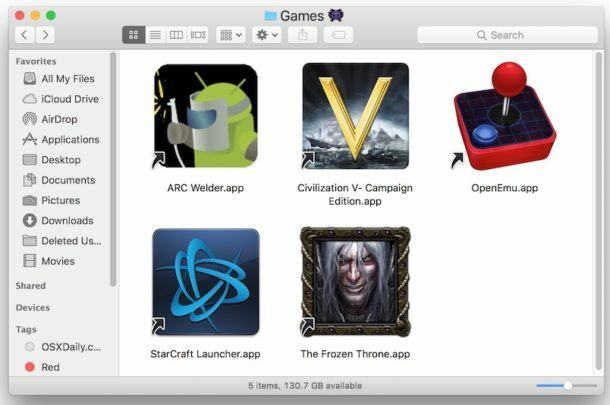 Using Mac aliases as a shortcut for launching apps, files, and folders is a great trick for Mac users, particularly when you’re using a series of aliases for otherwise deeply buried items in the Finder file system. But what if you made an alias of something and you now want to access the original item for whatever reason? 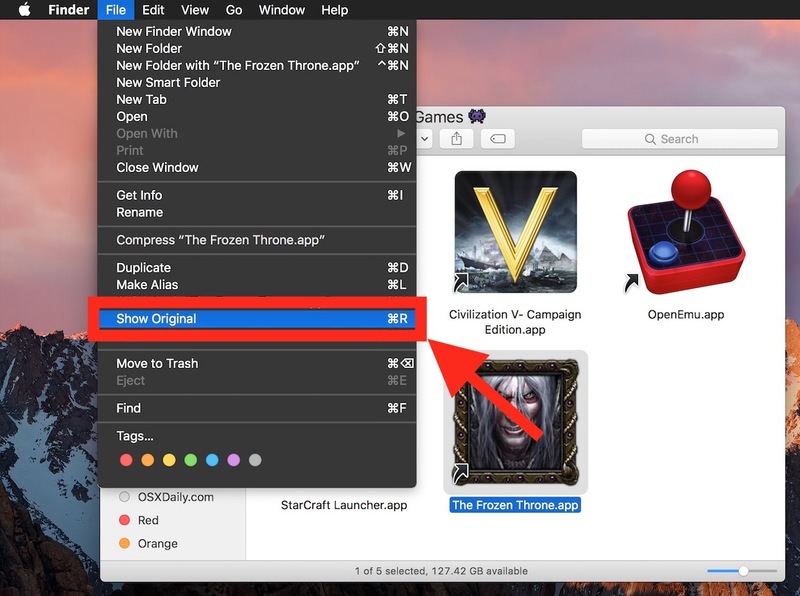 The Mac offers a very fast way to find the source of the alias, allowing you to quickly show the original app, file, or folder that an alias is referencing. You also can select an alias and then hit Command + R to quickly jump the original item in the Finder as well, or you can right-click and choose “Show Original” from the contextual menu, use whichever method is fastest for you. If you want to test this out with an alias, just make a shortcut and try out the keystroke or File “Show Original” option, it’s instantaneous. 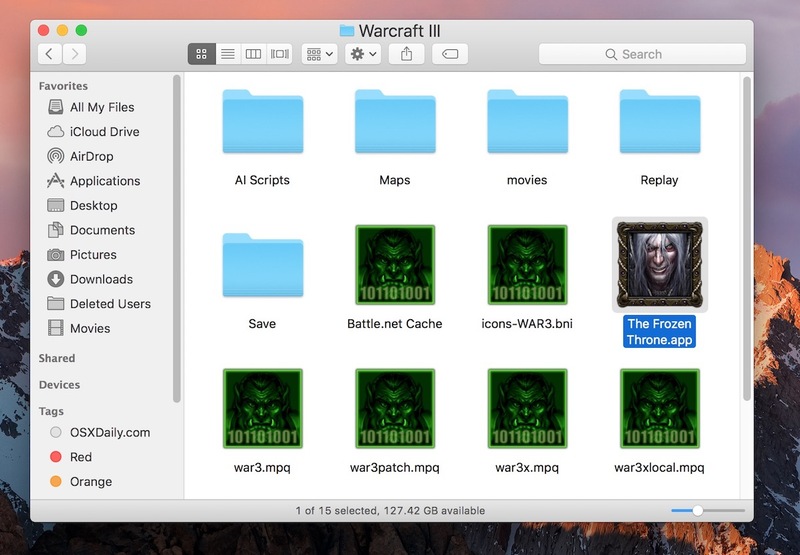 This is a nice trick for all Mac users who create aliases, but it’s extra helpful for showing deeply buried items, perhaps for accessing some of the various low level apps hidden within the System directories or anywhere else on the Mac. By the way, some Mac OS apps have a variation of this trick as well. 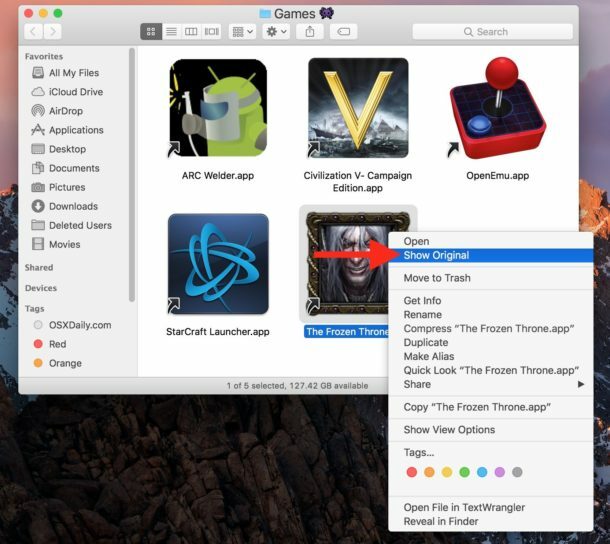 For example, the Photos app for Mac offers a “Show Original File” feature that lets you quickly jump to the origin documents. Know any other handy alias tricks or variations of similar features? Let us know in the comments! Another option is to Right (Control) Click on the alias, and choose “Show Original” in the resulting contextual menu. It is soul destroying to have to keep repeating this series of keystrokes from an email. Is there away of creating an ‘alias’ with short cut keys such that after pressing the shortcut keys a number could be inserted to get rid of those that are there? Or even better, “continue until none are left”? In 10.14 Mojave, the command-R shortcut was bizarrely appropriated for Rotate. Although this works only when an image is selected, the shortcut is no longer usable at all for its traditional function of Show Original (Reveal), even if an alias is selected. The new shortcut for Show Original is Command-Option-Control-A. blech.